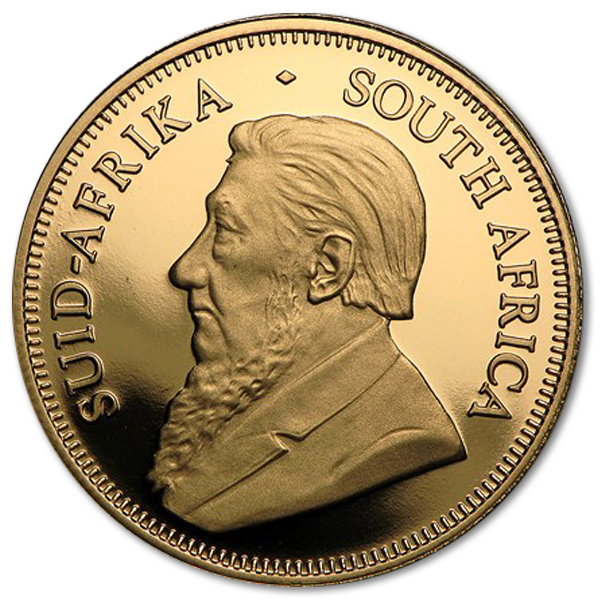 Every collection has that one piece that’s required to make it truly complete, and for the numismatist it’s the South African Kruggerand. 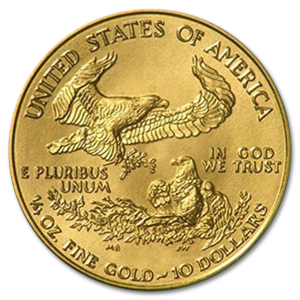 It is far and away the most important gold coin in the world, standing as the vehicle by which private gold ownership was brought to the masses. Once dominating more than 80% of the gold market in its time, this ½ oz coin has played an important role in the history of gold ownership, and drove the gold market as we know it today. 27.07mm in diameter, 2.215m thick and comprised of 91.67% gold and 8.33% copper, who would have thought something so small could lead to such a world of change. 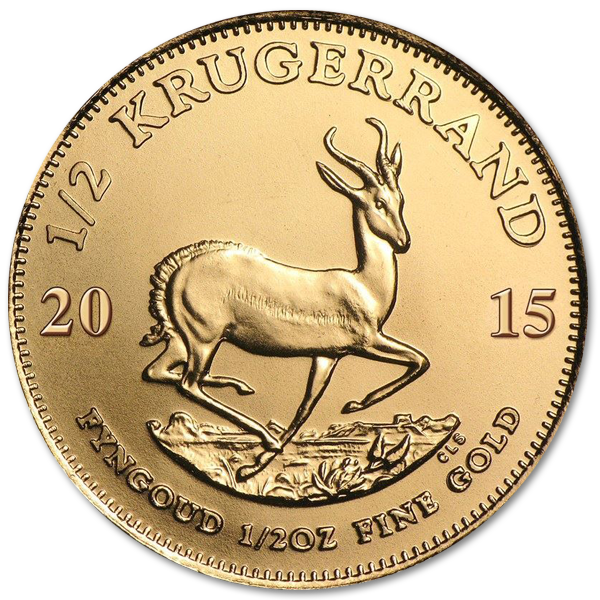 While it was originally minted in 1967 and quickly became the definition of the private gold market, the Kruggerand gold coin became quite difficult to obtain in 70’s and 80’s. Western countries put sanctions on South Africa during apartheid, making this valued coin incredibly difficult to obtain. 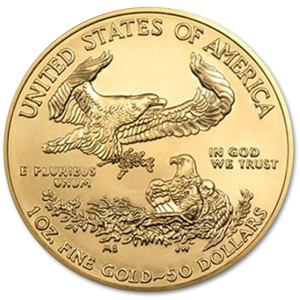 This didn’t stop it from dominating 80% of the gold market in the 80’s, nor from prompting other countries to begin minting their own gold coin. 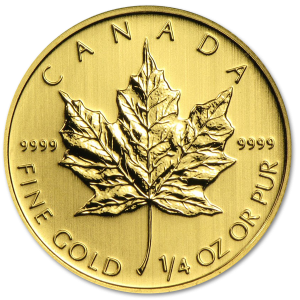 The Canadian Gold Maple Leaf, the Australian Nugget, The Golden American Eagle, all of these exist thanks to the Kruggerand. The gold Kruggerand may have just been a vehicle for private gold ownership, but that didn’t stop Paul Kruger, 5th president of South Africa, from hiring two excellent artists to make it a piece of art as well. 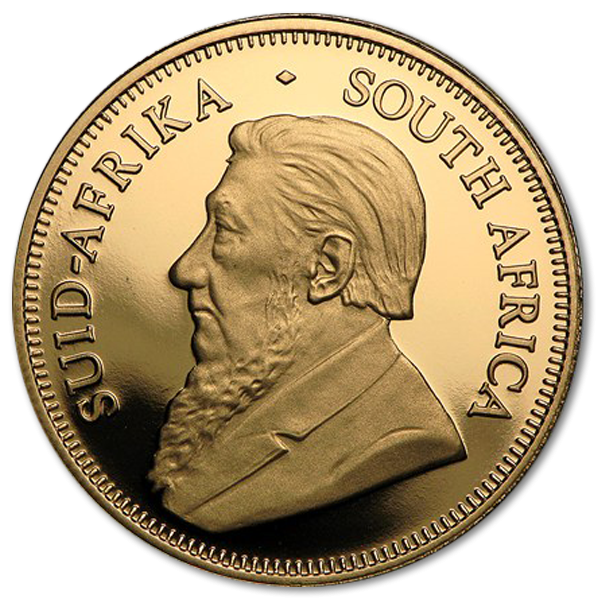 On the obverse side there is a portrait of Paul Kruger in fine detail, created by the skilled Otto Schultz. On the reverse we see the South African National Animal, the Springbok antelope, depicted racing through the tall savannah grasses by the incomparable Coert Steynberg. These two craftsman have made this iconic coin both valuable and beautiful to behold. Both gold investor and numismatist alike will want to add this coin to their collection, both for its intrinsic value, as well as the prestige and beauty of owning such an important piece of coin collecting history. Forged from 22kt gold blended with copper to create a durable and lustrous alloy, it will shine in your collection for years to come. Without a South African Kruggerand in your collection, you can’t really call it complete.